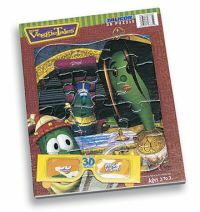 The VeggieTales Esther Inlaid Puzzle is an automatic must-have for the VeggieTales lover in your life. Any child who enjoys these fun characters will love adding this puzzle to their collection! 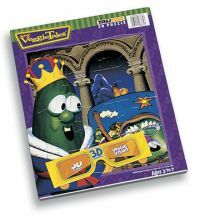 The VeggieTales Flannelgraph Inlaid Puzzle is an automatic must-have for the VeggieTales lover in your life. Any child who enjoys these fun characters will love adding this puzzle to their collection! Feel the magic in the air as you assemble this large puzzle, showing a Wizard at work in his lair - then shut off the lights and actually SEE the magic!